When you create a first person puzzle game that about being trapped in a looping simulation that carries a strong Portal vibe, you are probably on to something. The Spectrum Retreat takes a bold step forward in trying to give us a new and interesting first person puzzle game with an intriguing premise to boot, but how well does this idea as a whole stack up against famously classic puzzlers like Portal? Check out our video review below to see what we think of the game. 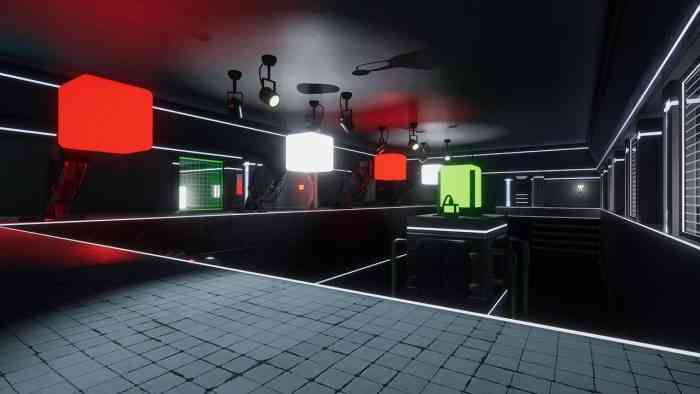 The Spectrum Retreat is a first person puzzle game in which players control Alex, a man trapped within a simulation of a nice hotel stay. The objective is simple: escape the hotel, however the system is looping on a daily cycle and will notice if anything is out of place, relying on you to balance the attempt of your escape and playing your part as a willing character in the simulation. While this sounds fantastic, the execution feels confused, as if the game isn’t quite sure what it wants to be. The puzzle solving mechanic of swapping colors is unique, however the delivery of the system is quickly lacking and leaves the player far less invested than they ought to be. The potential for a great game is here, but without taking it back to work on it the final product leaves much to be desired. What did you think of The Spectrum Retreat? Have you already dived in to try and escape? Let us know what you think of the game on Facebook, Twitter, or the Comments section below. For more information, check out the game’s official website.